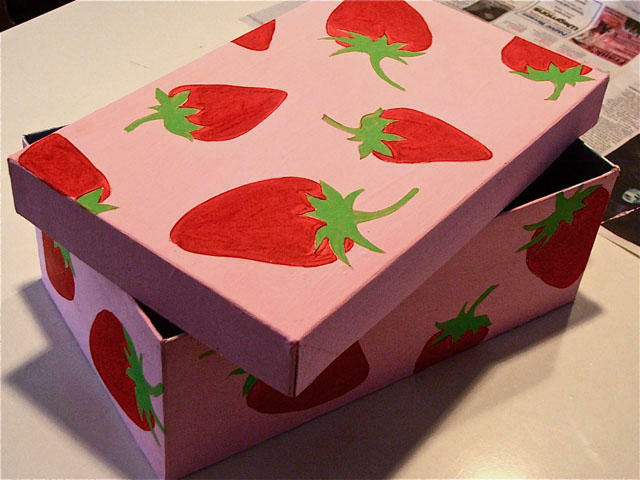 Recycle an old shoe box into a one-of-a-kind gift box that can also be used for a storage container in a few simple steps. 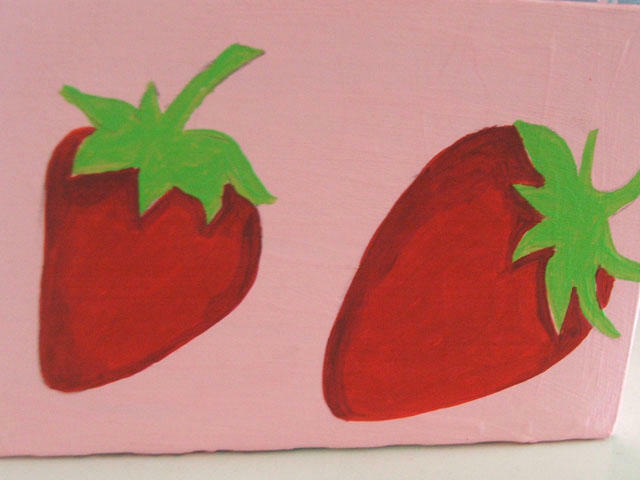 Craft paints: red, spring green, white, burgundy, light pink and yellow. Step one. 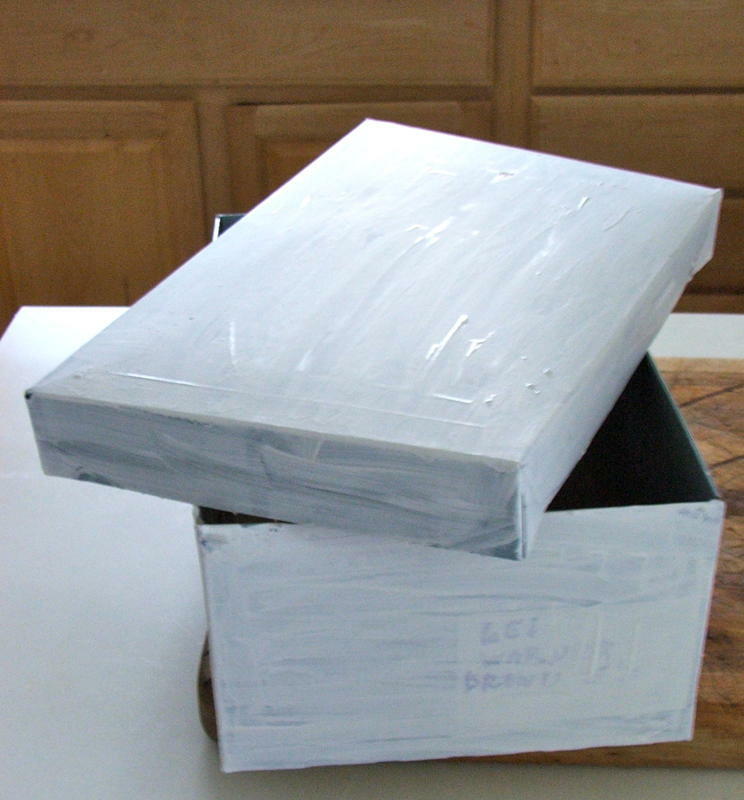 Base coat entire box white. Let dry. Apply a second coat if needed. Step two. 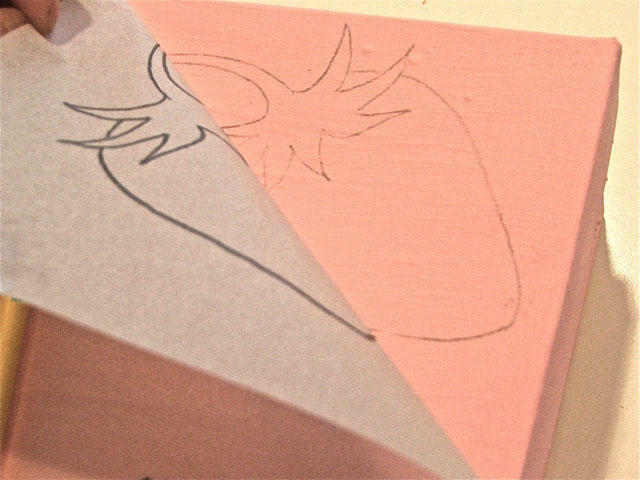 Paint shoe box light pink and Let dry. 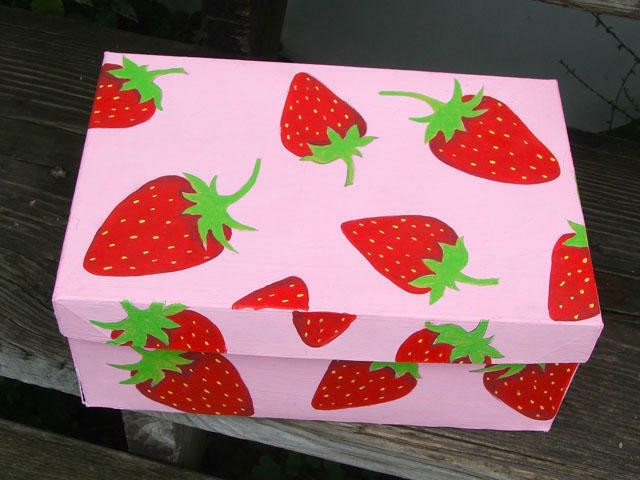 Enlarge or reduce strawberry image to fit your shoe box. Transfer strawberries to shoe box. I use tracing paper instead of transfer paper because I can see through the paper. However, you can use any transferring technique you feel most comfortable with. For this method, Trace strawberry image onto tracing paper with a pencil. Now turn the tracing paper over and draw over the lines again on the back. Flip the image again and transfer it to the box. Step Three. 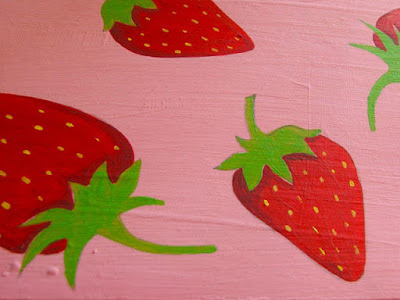 Paint strawberries red and the stem spring green. A few coats may be necessary. Let dry. Step four. Using burgundy shade strawberry. Step five. Use white craft paint and a fine brush to paint the seeds of the strawberry. We will use white paint for the seeds first and the go over them with yellow paint. This will help the yellow seeds stand out more. Seal with Modge Podge if you wish. 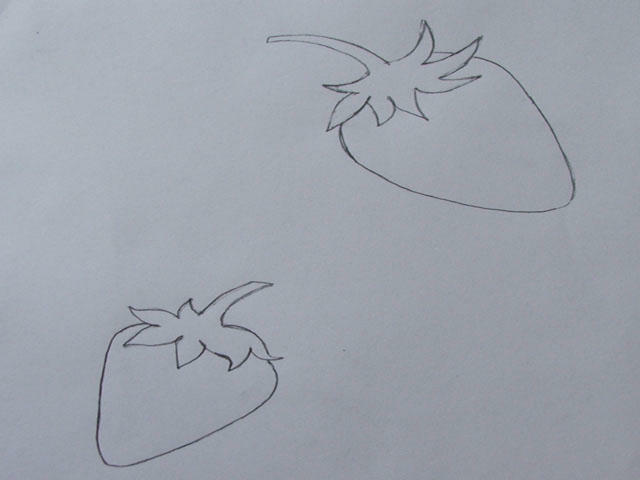 Pattern for drawing the strawberries, Click on the photo below to enlarge and print if needed. Or, make your own! 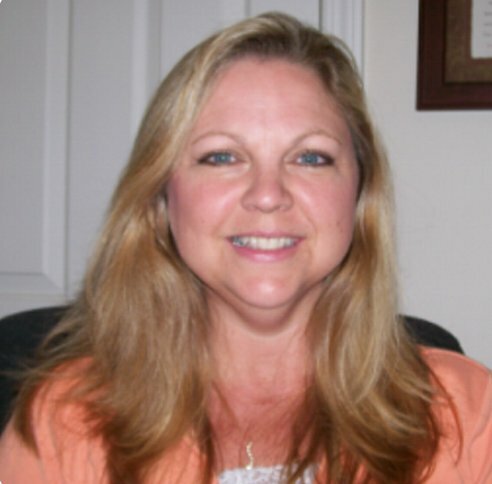 Copyright © 2011 by Maria Mercedes. All rights reserved.